Keep the sun off your brow with this Slovak Military Field Cap. Rugged, yet breathable cotton. Popular woodland camo goes with everything. Slovak Military Surplus M97 Field Caps, 3 Pack, Like New is rated 2.5 out of 5 by 2. Rated 2 out of 5 by Simko from Hats were in good shape. I bought large, but they run small. Rated 3 out of 5 by Mike from OK, But Not Great! 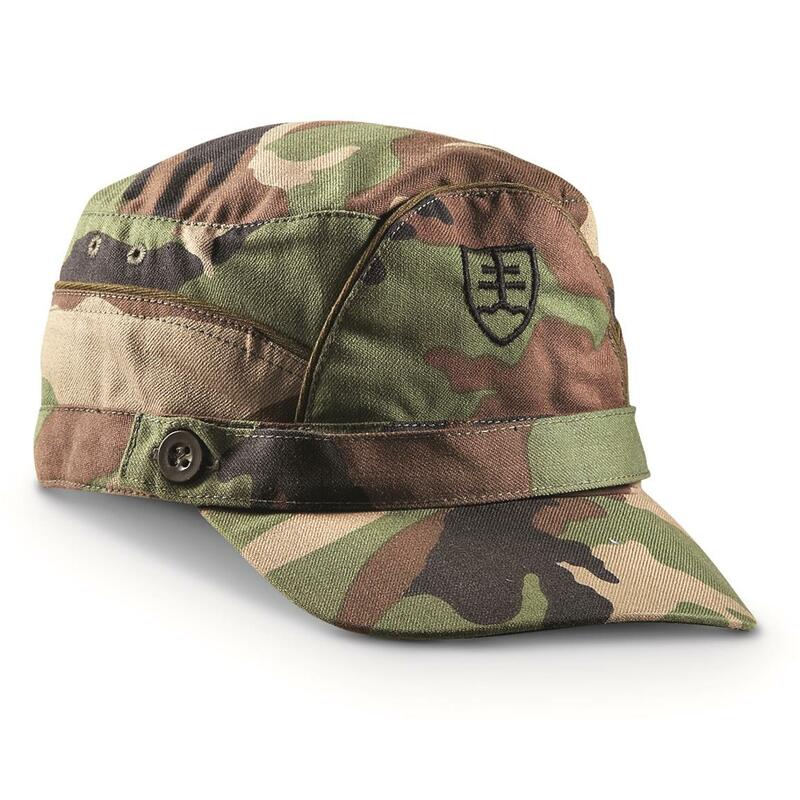 Having worked with the Slovak military, I was excited to see these items available from Sportsman's Guide; especially in XL sizes. Most items from Eastern European countries tend to run small. So I ordered a set, which arrived this afternoon...What I ended up getting for my 3-pack of "XL" hats was two larges (at best, one is slightly larger than the other), and a third that was between a medium and a small. Having other headgear from my time in Slovakia, I know what their "XL" equates to. These are much tighter and the third obviously not even close.As for condition, "like new" is a bit of a stretch. They aren't badly used, but the markings are gone and material too faded. More like "lightly used. "So for the price they aren't a bad deal, but given the discrepancy is sizing and ending up with only one "usable" hat out of the three, I can honestly only give this item an average rating. If you have a hat size greater than 7¼, don't expect to be able to wear the XLs comfortably.